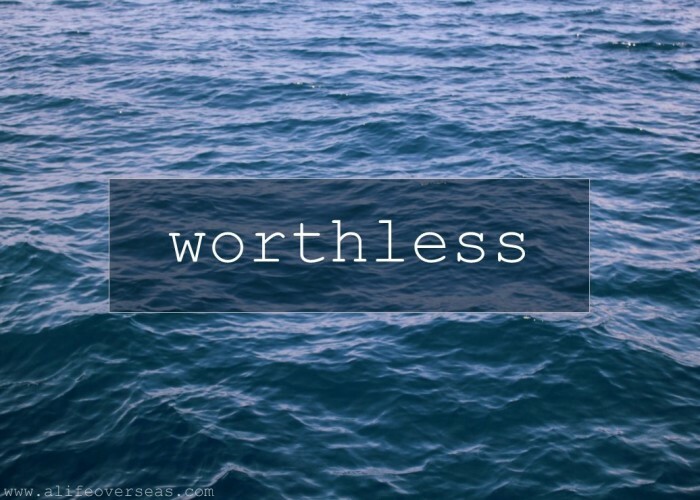 Jonathan is over at A Life Overseas today, talking about his feelings of worthlessness and the hope that carries him through. The feeling rises and crests like an impending wave barreling towards the surface of my heart. And with each wave of worthlessness comes an intense weariness of soul, a near drowning. The breakers seem to rise from nowhere. I can’t predict them, and that makes me mad. They’re not tied to whether my work or ministry is going well or faltering. They don’t seem to be related to whether or not folks approve of (or agree with) me. They just come. And break. I wonder if I’m alone. Am I?